Geeky Gadgets is read by millions of Technology enthusiasts and gadget fans. 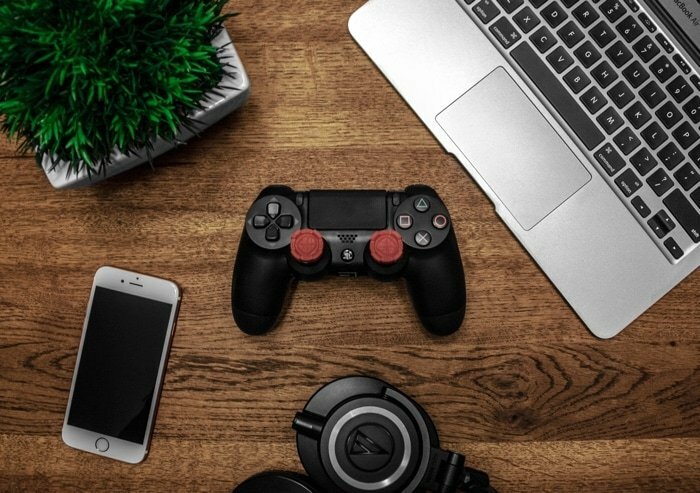 Our wide base of readers are always the first ones to purchase the latest gadgets, gizmo’s and geek toys, and high tech gear. We are considered an authority site in the gadgets and technology space. We bring our readers the latest gadget and technology news and our traffic and regular reader base has grown constantly since our launch on December the 31st 2007. We have brought the latest Gadgets & Technology news to our readers for the last decade. The majority of our visitors are from United States, Canada, the UK and Europe. A copy of our latest traffic stats is available to qualified advertisers on request. What advertising opportunities are available? At Geeky Gadgets we offer custom advertising solutions to meet your requirements, from banner advertising and branded content campaigns, to ensure that your receive the maximum exposure for your brand at the minimum outlay. We make sure that all of our campaigns conform with the FCC, ASA and Google guidelines. We are also able to offer specialist advertising through our own advertising server, we are able to build customized campaigns to suit your budget and requirements., giving you maximum visibility for your brand and campaign. I want to advertise on Geeky Gadgets, what do I do next? 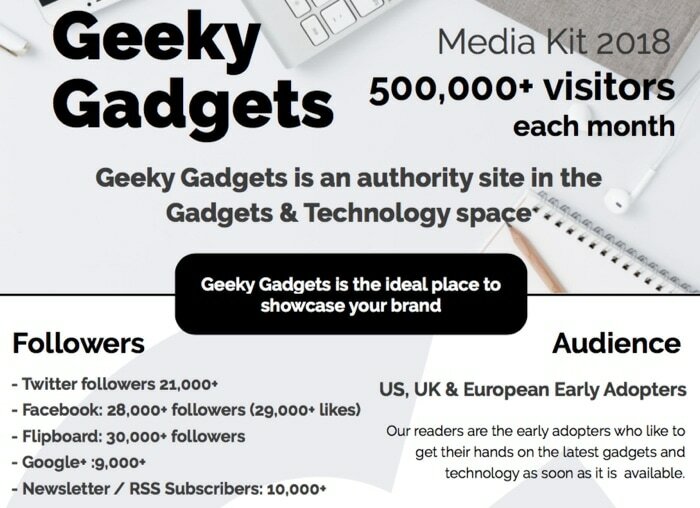 If you are interested in advertising on Geeky Gadgets, please contact Roland Hutchinson by emailing at [email protected]. He will provide you with full details on all advertising options as well as a copy of our 2018 Media Kit.